Dr. Petson D. Chan is an occasional guest writer for KamWo Herbal Pharmacy on Chinese Medicine related topics. Feel free to explore the various articles below. 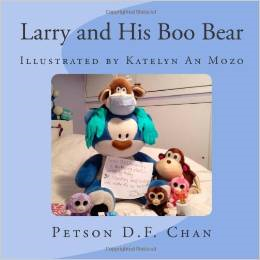 In addition to being a guest writer for KamWo Herbal Pharmacy, Dr. Chan also wrote a children’s book that was illustrated by his niece and was published in December 2012. The children’s book was titled “Larry and His Boo Bear” and is available through Amazon’s website.